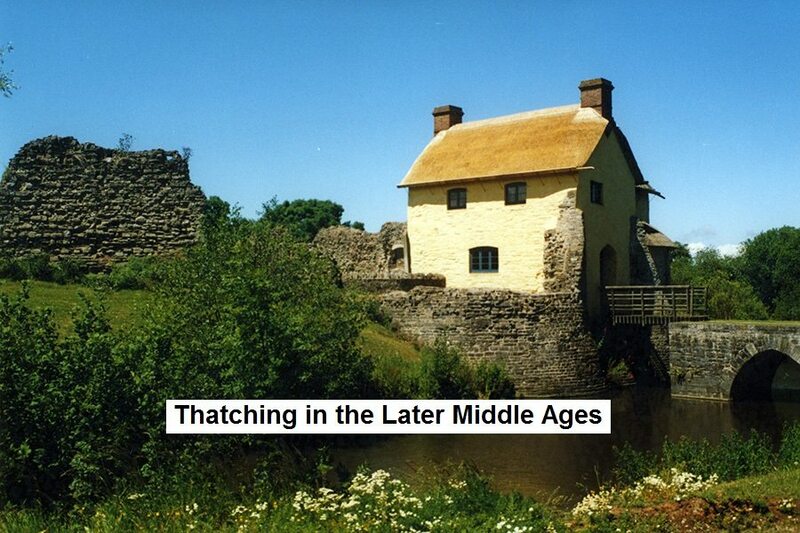 A Brief History of British Thatching; over the last Ten Thousand Years. 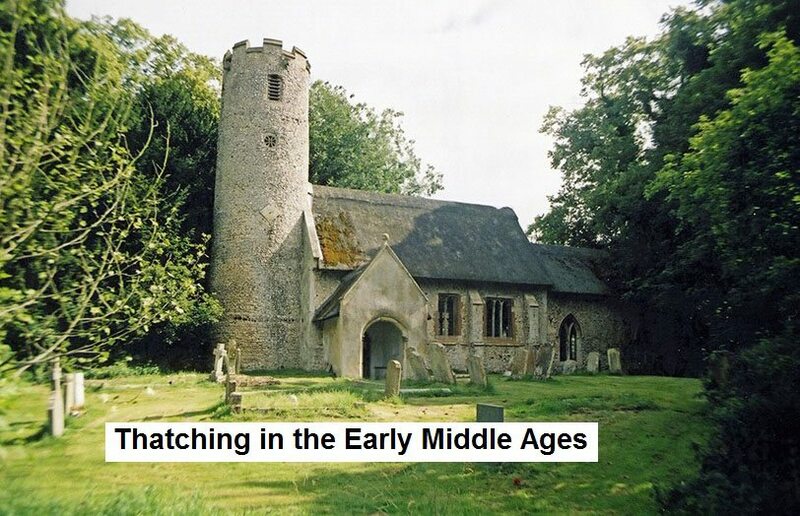 Perhaps the most important single event, in the history of the craft of thatching, is the massive decline; in both thatchers and thatched buildings, over the last couple of centuries. For every six or seven thatchers, appearing in the 1851 census; there is now less than one. In Mr Pennants day, many towns had already banned thatch, for fear of fire. But most country dwellers would have lived under it, these being the vast majority, of the ten million or so Britons around at that time. 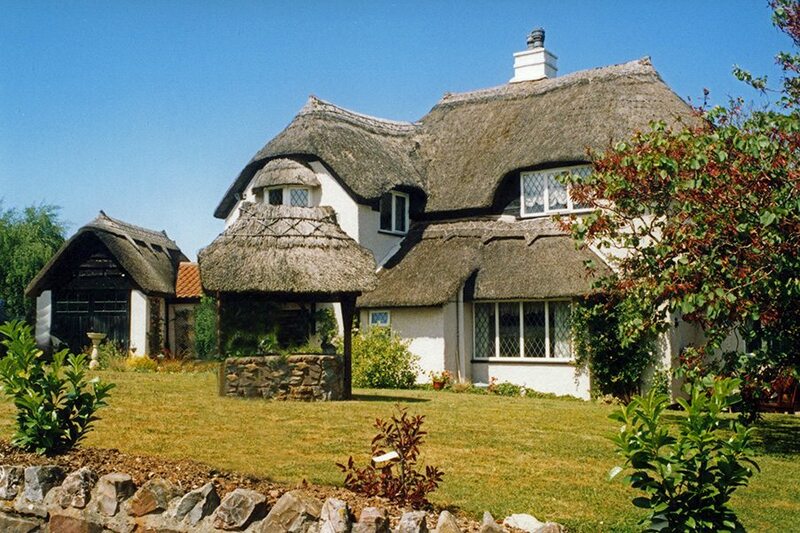 Their forebears would have seen tile and slate roofs, as curiosities; as many today look on thatched roofs. 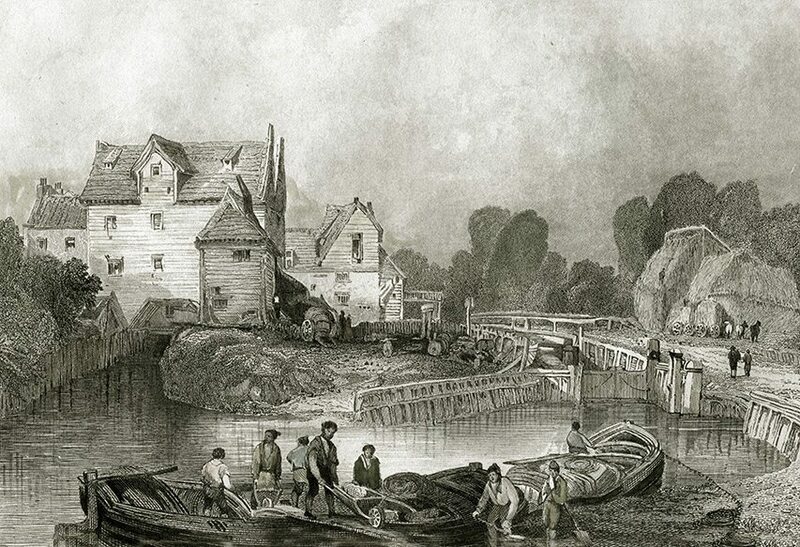 Tottenham Mills, in Middlesex… around 1820. A generation, after Thomas Pennant’s musings; this large building still retains its thatch. Although it could not be closer, to the easy transport, provided by the River Lee Navigation. Which is still very much in existence, unlike the splendid mill. 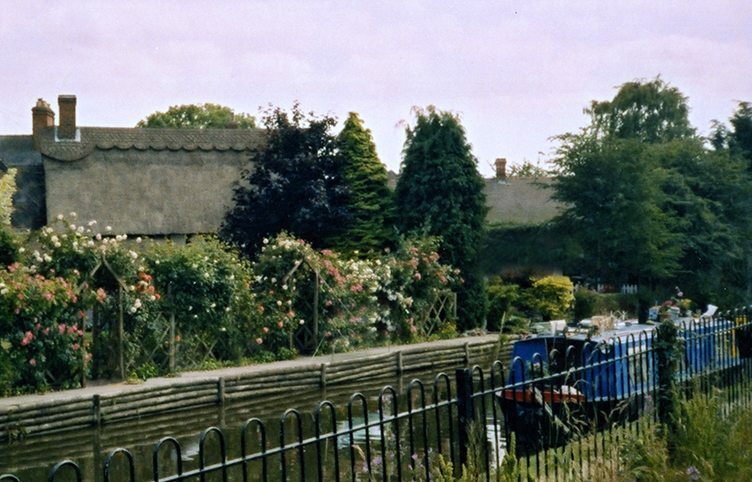 As the nineteenth century progressed, only the areas where the canals and railways were late in coming, or never arrived; saw domestic thatching still thriving… Even in these areas, the craft often depended on the attitude of the landed gentry, as few who lived under thatch owned it… Numerous landlords kept or built thatched properties, for aesthetic reasons. 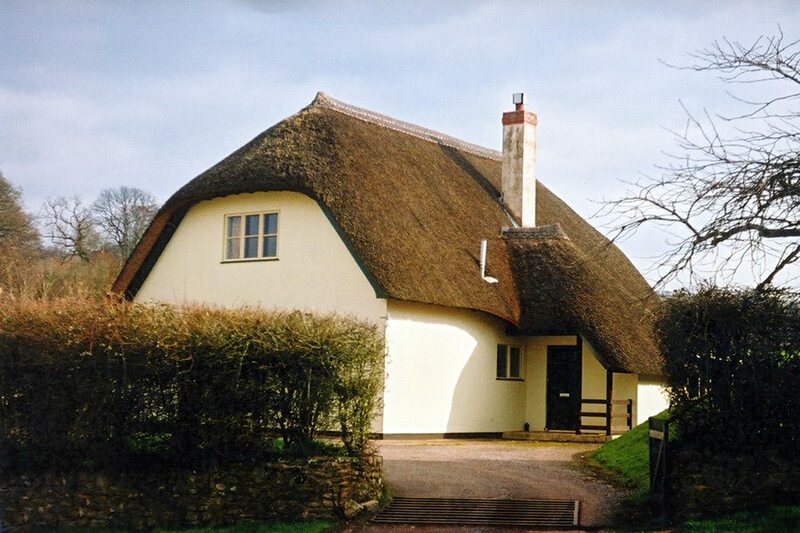 But most of today’s thatch survives, because the former estate owners were too mean, to pay out for new roof timbers and tiles; when a thatch repair was always cheaper. Or just happy, to let the rents roll in and the years roll by… But where modern ideas of estate management took hold, the tenants housing was either stripped of thatch, or totally rebuilt. These differing attitudes, are the reason why thatch now often occurs in clusters… Settlements, making up some long lost estate, may have many examples; the surrounding villages none. Deductions…. 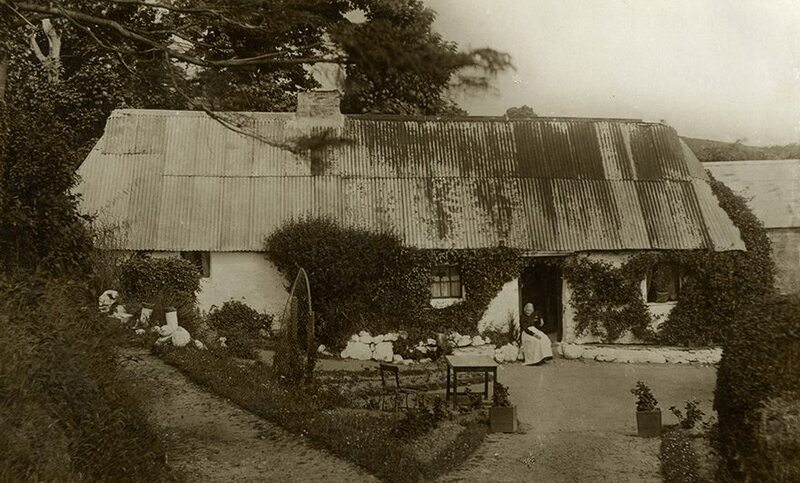 ‘Most Worthy Madam… I have had some little repairs of Thatching, done at Wm. 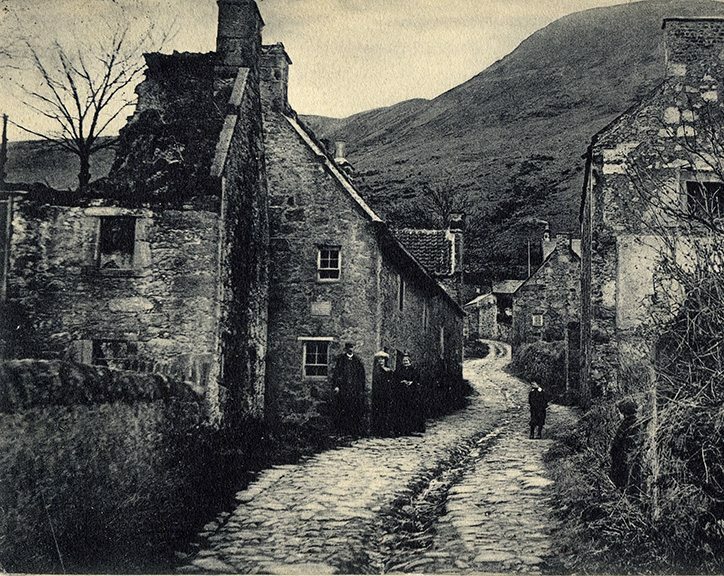 Percival, and Widow Millers cottages, which was quite necefsary should be done before the winter, which you will see as pr Acc…’ So wrote John Morer; when sending his accounts and rent to his landlady. For his farm at Twywell, in Northamptonshire, for the year 1823. The list of deductions, shows the costs incurred; for a load of straw; and 5 days wages, for one Edward Wallis and ‘his boy’, to thatch it in. 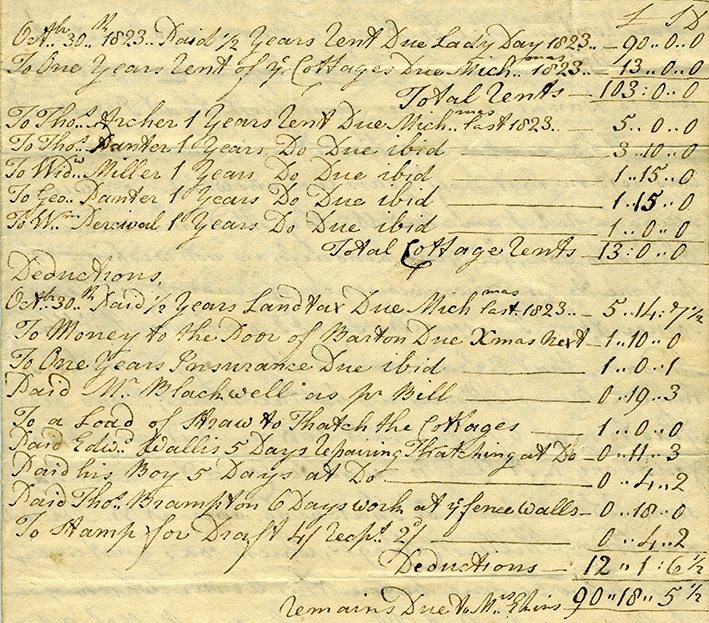 The cost of these ‘little repairs’, came to more than the rent, the good Widow Miller paid for a year! John Morer’s landlady lived in far off Ludlow. She drew a tidy £180 per year in profit; and was happy it seems to keep her tenants dry. But owners, who took a more lively interest in their estate, often saw the benefits of re-roofing; or simply letting uneconomic buildings fall down. 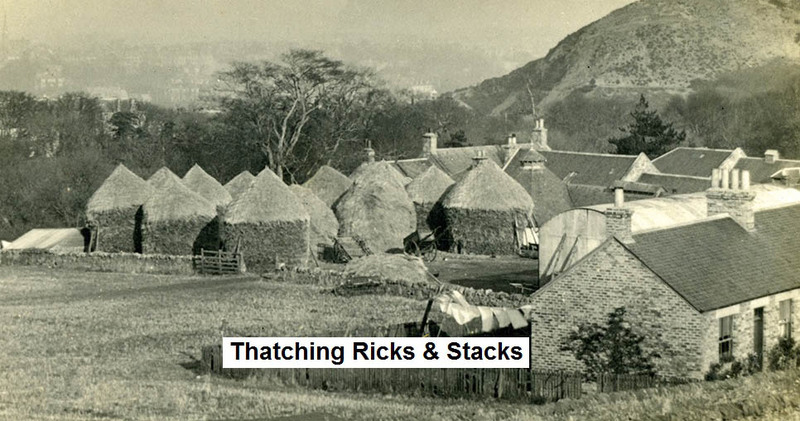 As will be seen, in the final chapter of this section, the skills of the craft were mainly preserved, throughout this long decline; by rick and stack thatching. 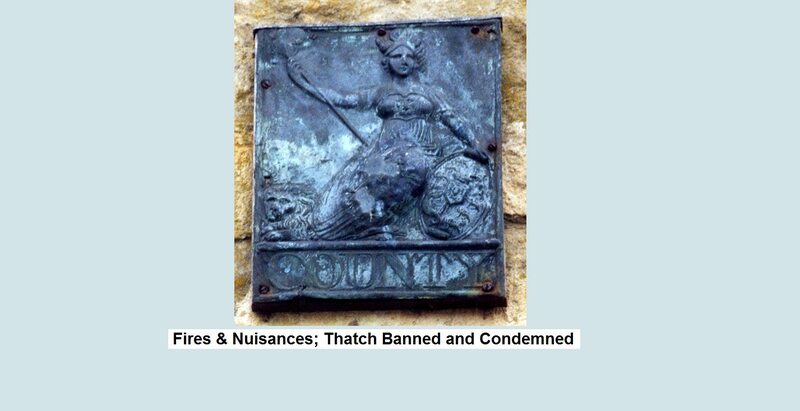 Work provided by the farmer in the countryside, and the hay merchant and corn chandler, in the city and town… This type of work had often provided over half a years employment, to generations of thatchers. The years following the Second World War brought great changes. The total mechanisation of harvesting, mainly in the form of the combine harvester, almost finished the craft. 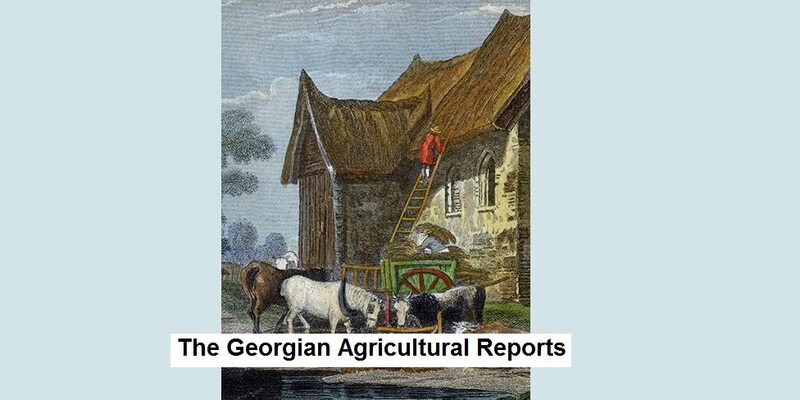 Not only did this machine ruin any straw suitable for thatching, it also did away with the need for cereal ricks and stacks… Listing most remaining thatched buildings, finally turned the tide of decline in the mid twentieth century. But there was still a severe contraction in the craft. 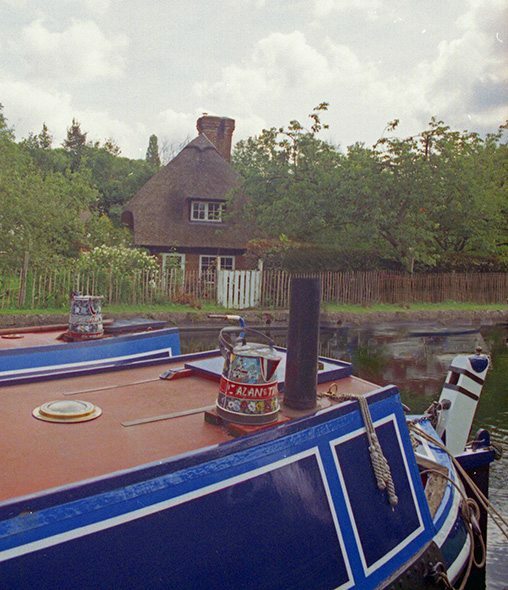 When I began in the very early 1970’s, I was told by many that the craft was ’a dying trade’. And I heard stories of recent memory, of some severe competition for employment. Of ladder rungs being cut halfway through and thatchers literally fighting over work..
New builds… Above in Huntingdonshire & below in Devon, and in Somerset on the right. Being organic, thatch leaves little if any trace on most archaeological sites. But what went before need not be a mystery… Thatchers, in the past, used good working practices; or the roof leaked… So by applying basic thatching principles, to the evidence that archaeology gives us; a reasonably accurate image can be built up, of the thatched buildings that kept our forebears dry. When creating a clearer picture, of some long lost building, I have assumed the following… The roof pitch is around 50 degrees, a good angle for thatch, in any age. 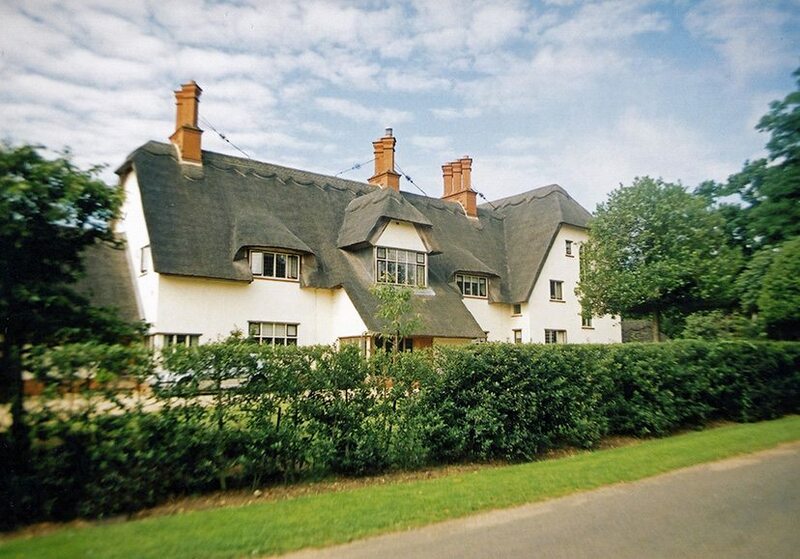 The final thatched roof, is 10% larger than the roof timbers. Where applicable, the eaves height is 6½ ft (2m) from the ground. A ‘square’ is 100sq ft (9.25sq m.). A ton (tonne) of straw thatch, using the standard method of working, would cover between four and five squares of roof. A hundred bundles of water reed, would cover a square. Taking a good man a day, to manually harvest it. I have allowed for a thatcher, working alone, to cover half a square of standard thatching, in an eight hour day. A good average, given both wet and dry days. In the past, thatchers worked all the daylight hours… But details of their daily wages, seem to allow for around half a square, of completed work.